The steamy swamplands of Louisiana are home to Cajun and Creole cuisine. Fashioned partly from colonial influences, a stylish mix of French and Spanish sophistication together with the fire of Africa creates highly imaginative and powerful flavours. Authentic dishes often feature fresh seafood, such as crayfish and shrimp, heavily spiced in jambalayas and thick stews known as gumbos. Outside Louisiana the differences between authentic Cajun cooking and Creole cooking have become blurred. 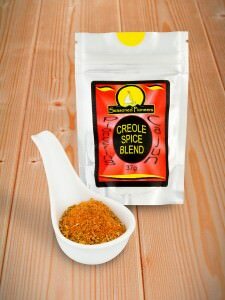 Creole dishes tend to be more of a sophisticated cuisine using local produce and seafood. Creole spice blend is a sultry to spicy mix giving flavours of onion, garlic and spices. Creole cooking also focuses on presentation and often uses French methods of preparation, such as the classic roux sauce of butter and flour. 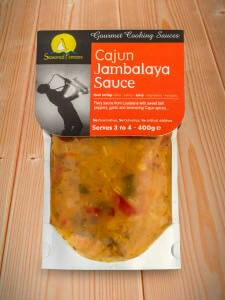 The Cajun roux however is made from oil and flour, cooked for a long time until coloured and used to thicken gumbos. Cajun dishes tend to be rustic and use plenty of Cajun seasoning and Cajun spice. Cajun (Acadian) people originated from the French speaking Acadian region of Canada and came to live in the bayous (swamps) of Louisiana, living off the land as farmers, hunters and fishermen. Cajun cooking depended on what produce was available to them, but would include corn, sugar cane, okra, molasses, onions, green peppers, shrimp, greens, wild game, sassafras (file powder), rice and beans. The swamps were abundant in crayfish, hence them becoming an integral ingredient of Cajun cooking. Seafood was also abundantly available to the people living near the coast. 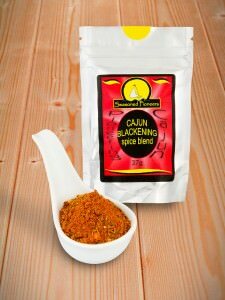 Cajun seasoning blends include Cajun Blackening spice blend which is simply rubbed into meat or fish before grilling or frying for a traditional Cajun ‘blackened’ appearance and flavour. 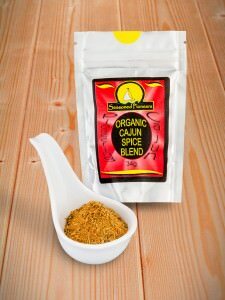 Cajun spice blend is a spicy mix of over 10 herbs and spices, which is used to season gumbos and jambalayas. 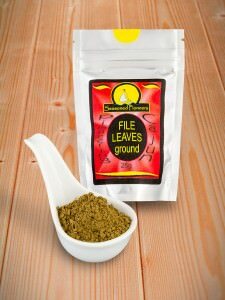 It is also delicious used in stir-fries or as a rub for meat or fish. 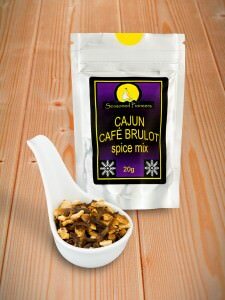 Whatever Cajun cooking takes your fancy, be sure to finish off your meal with a hot cup of Café Brulot, an authentic cajun after-dinner spiced coffee liqueur drink with a big kick! We hope that these suggestions have tempted you to cook with Cajun spices and if you would like any further assistance or inspiration, then please don’t hesitate to contact us.